What is generally referred to as modern drama was an international development or movement centred in Europe and North America, a movement directed against many of the conventions and institutions of nineteenth-century drama and theatre. Between 1880 and 1960, a number of foundational figures broke with inherited dramatic conventions, instituted new forms of drama, and created different venues for performance. George Bernard Shaw and William Archer in England, Henrik Ibsen in Norway, August Strindberg in Sweden, Maurice Maeterlinck and Alfred Jarry in France, Gerhard Hauptmann in Germany, Luigi Pirandello in Italy, Federico Garcia Lorca in Spain, Eugene O’Neill and Gertrude Stein in the United States, and Anton Chekhov in Russia share, despite their considerable differences, a project of rupturing with the old and a belief in the new. Even though each national drama tradition can boast such a foundational figure, modern drama was at the same time an international movement. New plays quickly circulated through translation and new production techniques through touring companies and extended visits, establishing an international standard for modernism in drama. 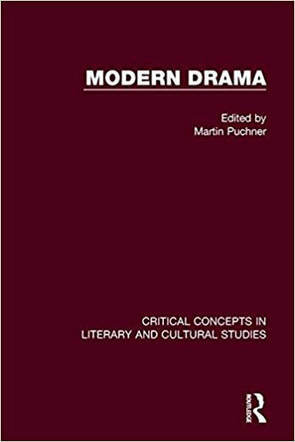 The four volumes that make up this new Routledge Major Work span the historical emergence and the continuing impact of modern drama on critical thought. By focusing on the origins of modern drama as well as on the narrative of its development, the collection is uniquely positioned to relate this historical period to current critical traditions. In terms of organization, the Major Work takes stock of the various critical traditions that have developed since the 1960s and that have fundamentally transformed our understanding of modernist drama and theatre even as these traditions have continued to draw on the original impulses of modern dramatists. It is an essential reference work destined to be valued as a vital research resource by all scholars and students of the subject.